So I'm sure you may have heard of the new Great Gatsby movie with Leonardo DeCaprio and Carey Mulligan. I loved reading the novel in school and watching the original movie with Robert Redford. I am very excited to see the new version. 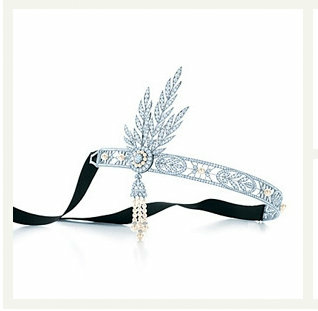 Today on my browser I noticed an add pop up from Tiffany and Co. for the new Jazz Age Glamour collection. This collection was created exclusively for The Great Gatsby and was actually used in the movie. Nearly fell off my chair when I went to the website to see the entire collection. It is amazingly gorgeous and exquisite. I really fell in love with all of it, and need a little something to add to my Tiffany collection. OK I only have two items from Tiffany but I love them! This movie is already getting lots of buzz and will definitely have an impact on fashion. The 20's art deco decade is one of the greatest in history. 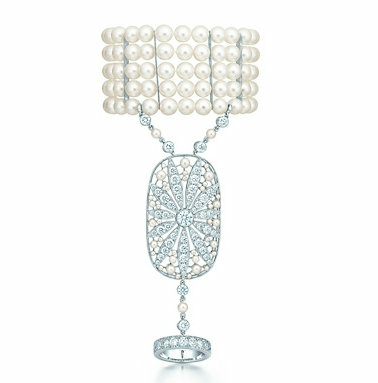 I am already seeing many art deco influences in fashion and this Tiffany collection is one of the most breath taking in style and price. Yeah after looking at all the pieces online, no way I can add one to my collection. A girl can dream right? I have to wait for a lesser priced inspired piece to make its way to me. 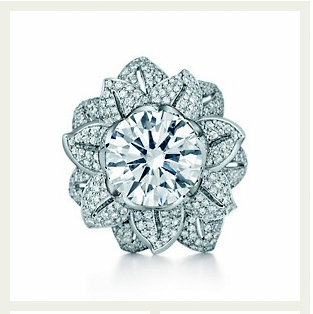 Until then you can see the entire collection at Tiffany.com and drool for yourself. A few items do start at around $250 and go all the way up to about $875, 000....yeah I know crazy right. Here's a peek at the collection, I am dying to see it in person. I'm also including this video from Tiffany about the collaboration with Baz Lurhmann and costume designer Cathrine Martin, its amazing. Are you planning to watch The Great Gatsby movie this weekend? Which piece is your favorite from the Tiffany collection. I can't wait to see this movie! And all of the jewerly is to die for. I will have to wait a while before I get to add any pieces to my collection, too! Oh my goodness! these jewels are gorgeous, antique looking and perfect for the movie.